Menlook is a high-priced men's clothing store — primarily featuring classic, trendy professional wear and sportswear. ShopSleuth found 101 men's clothing stores similar to Menlook, out of our database of 45,744 total stores. The following stores offer the closest match to Menlook based on our proprietary matching algorithm. Submit your vote below to help us refine our Similarity Scores and rank the stores and brands most like Menlook! Charles Tyrwhitt is a British retailer specializing in quality menswear. With every shirt made from luxurious 100% cotton, it has earned its reputation as the UK's largest purveyor of fine shirts. Apartment Number 9 sells contemporary clothing, footwear, and accessories for men. Apartment Number 9 sells popular men's brands that offer excellent quality, impeccable fits, and stylish details. Bachrach is a men's clothing retailer inspired by European fashion design. Bachrach offers a diverse collection of men's separates that allow for casual and dressy styling. Men's Wearhouse is an on and offline retailer dedicated to designer festive wear for men. Men's Wearhouse offers free lifetime pressing on all suits and tuxedos purchased from any of its 900 stores. Suit Supply is a men's suits retailer that allows men to purchase quality prêt à porter fashion items. Suit Supply offers an extensive line of trousers, shirts, accessories and shoes. Blank Label is a custom menswear brand that creates custom dress shirts for men. Blank Label focuses on making shopping a remarkable experience by crafting quality shirts for men. Lumina Clothing is an American-made men's apparel retailer. Lumina Clothing offers quality separates and accessories for the everyday man. Moores is one of Canada's leading menswear retailers. Moores offers high quality suits, business attire and accessories. English Laundry is a proudly English clothing brand for men. Inspired by the rock music of the 60s and 70s, the brand celebrates simplicity and timeless style. Indcsn is a men's streetwear brand with a casual, contemporary sense of style. Indcsn is known for its laidback, sporty clothing, caps, and accessories. Woodhouse is a sleek and stylish fashion retailer for men. Woodhouse offers high-end, designer brand apparel, footwear and accessories and carries names such as Hugo Boss and Armani. Carbon 2 Cobalt is a fashion-forward menswear designer based in California. The Carbon 2 Cobalt line is inspired by modern and playful design elements. Dunderdon is a Swedish workwear company that sells casual lifestyle clothing and accessories for men and women. Dunderdon is known for its innovative, updated take on classic workwear. Exceptional quality dress shirts, sweaters, sports shirts, pants and sports coats and accessories for big and tall men. Smart style for the professional man online and at your fingertips. John Varvatos is a high-end men's lifestyle brand. John Varvatos offers an extensive line of men's apparel and accessories, including footwear, bags, belts, eyewear, and watches. Jos A. Bank creates classically styled career and casual apparel for men. Known as "The Expert in Men's Apparel", Jos A. Bank provides quality clothing priced 20 to 30 percent below competitors. Calibre is an Australian menswear brand known for its aspirational sense of style and high quality designs. Calibre sells impeccably tailored clothing and cutting edge designs for the modern man. Cco is a men's retailer that sells suits, dress clothes, and formalwear at low, affordable prices. Cco is known for its wide variety of styles, fits, and sizes. Indochino provides the modern gentleman with high quality, fashionable menswear. Indochino is known for it's fit and sophisticated style. T.M. 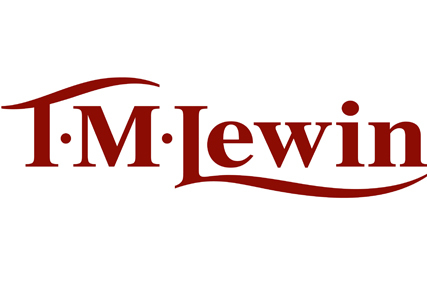 Lewin is a British brand specializing in stylish business wear for professional working men and women. It offers quality apparel and accessories to cover the entire business wardrobe. Menlook is a multi-brand retailer dedicated to men's fashion. Menlook carries over 150 top name brands in men's apparel including Marc by Marc Jacobs, Tommy Hilfiger and more.